A total of 59 people have been discharged from hospitals after a blast hit a chemical plant in east China's Jiangsu Province Thursday, according to the rescue headquarters. 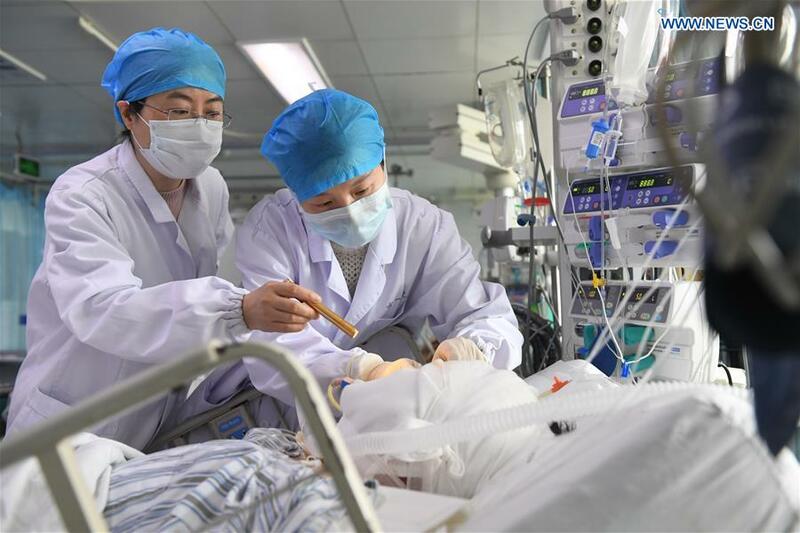 As of 12 p.m. Sunday, 604 patients, including 117 severely injured ones, remain in 16 hospitals in Yancheng, Li Shaodong, vice director of the province's health commission, told a press conference. More than 4,500 medical workers, including top-notch experts from other parts of the country, have participated in the rescue. Experts have held 1,579 consultations for the patients and performed 219 surgeries, said Li. In addition to emergency rescue, psychological counseling has also been provided to the injured, their relatives and the rescue members, said Li. The death toll of the blast stood at 64 on Saturday, according to authorities. Measures have also been taken to prevent the outflow of contaminated water from the chemical plant and water used in fire fighting. ​A total of 59 people have been discharged from hospitals after a blast hit a chemical plant in east China's Jiangsu Province Thursday, according to the rescue headquarters.